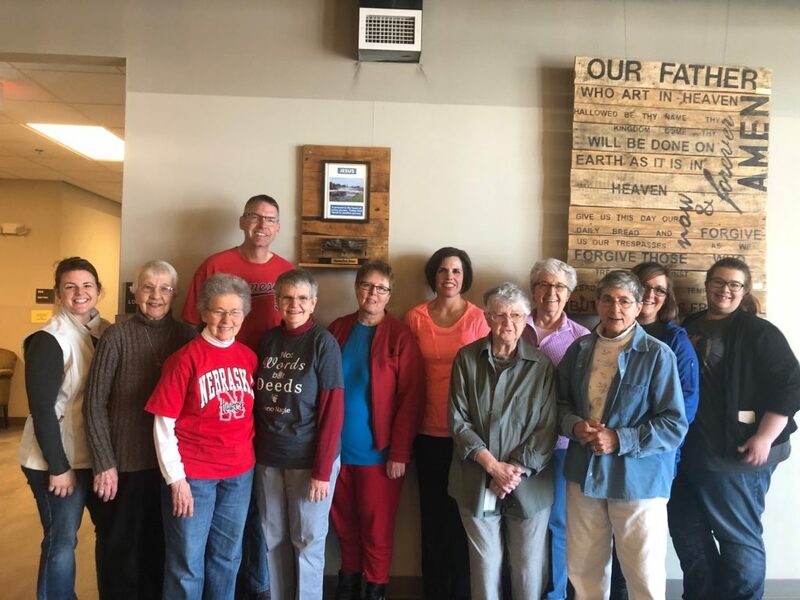 Last year, as we celebrated National Catholic Sisters week, we went out and visited partners and shared stories of the sisters who went before us and the work we are doing today. This year, we built on this tradition, by inviting partners to walk alongside us as we shared our thanks to organizations in the Sioux Falls area for their work of Nano in the city. 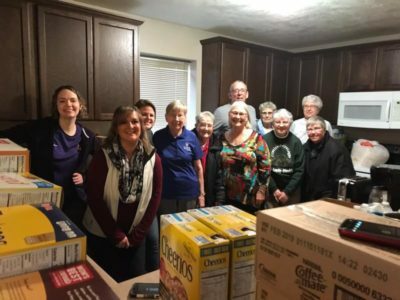 We spent time volunteering at the local emergency homeless shelter, The Bishop Dudley Hospitality House, and at a transitional housing facility for the homeless, the St. Francis House. We enjoyed helping with a deep clean to rid of flu germs, organizing and sorting pantries and book shelves and helping prepare gifts for volunteers. The work was much appreciated by the houses and we enjoyed our time together with joy and laughter. At the convent in Aberdeen, the sisters and staff shared a group prayer celebrating the special week. The staff continued the celebration and surprised the sisters with shared stories of gratitude. In a show of our appreciation, we are working on a yearlong plan to invite some of the Aberdeen area non-profit partners out the convent so they may share updates on the work they are doing in the community. As we continue to partner with others, going to the fringes as we meet those most in need, we are reminded of the path Jesus walked, and Nano after him. We are delighted by the compassionate hearts around us and the increase in Presentation People who continue to join with us on this journey.